More than 50 individuals with Down syndrome and their family members joined the Down Syndrome Association of Orange County (DSAOC) at the Encore Dinner Theatre & Club in Tustin on Thursday, June 21, for an exciting live stage show, delicious food and great hospitality! 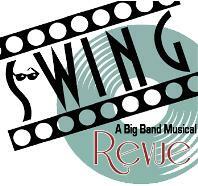 The “Big Band Swing Show” was a wonderful mix of history, music, singing and dancing. The full 13 piece band was spectacular and had the entire audience clapping their hands and tapping their feet. Everyone was dancing in their seats! And if that wasn’t enough… toward the end of the show our families were invited to the dance floor in front of the stage to show their swinging talents as the Big Band played on… the performers made their way to the dance floor and joined in. The teens and adults with Down syndrome stole the show with their dance moves! What an AMAZING evening. DSAOC is extremely thankful to Lori and Peter Zappas, the owners of the Encore Dinner Theatre & Club, for their generosity and hospitality. We would also like to thank the Pujols Family Foundation for bringing exciting opportunities like this to so many of our families. THANK YOU!! Who doesn’t love going to an Angel’s game?! The smell of popcorn and hot dogs, the sounds of the crowd cheering on their team – it’s an overall thrill for the senses! During the month of June, DSAOC was provided with three opportunities to thank some of our dedicated families and volunteers with free tickets to the game in a dug-out suite. The suite was generously donated to the Pujols Family Foundation by the Klein family. 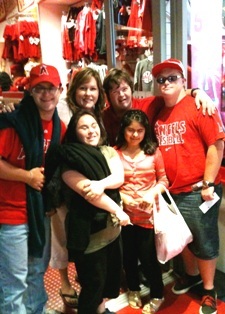 The Pujols Family Foundation very generously donated it to DSAOC for our use on those designated game nights. The only downside is the limited number of seats available, as we wish all of our families could have enjoyed this awesome experience! We are so grateful to the Klein family and the Pujols Family Foundation for allowing us to use this opportunity to thank those that are dedicated in their support of DSAOC.